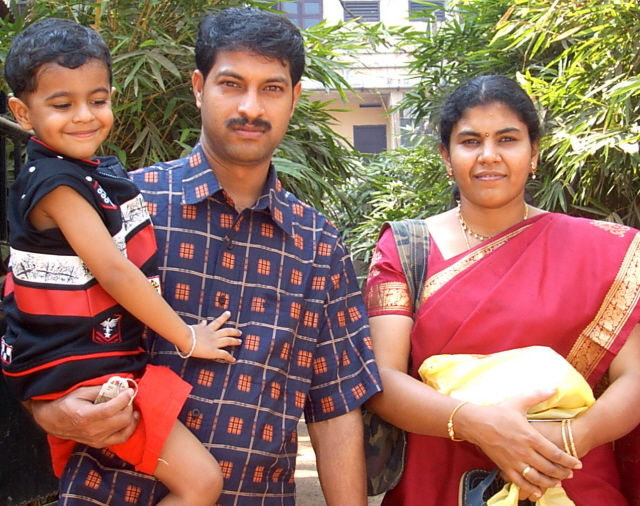 On 1st April 2009, my sister Sangeetha, her husband Sunilkumar and son Arjun Sunil left the UAE permanently to settle down in India. Following the lay off declared by Sunil's employers in the wake of the economic slow down, Sunil managed to get another job in Qatar and eventually Sangeetha also decided to resign from her job at Union Insurance Company primarily considering their son's education. Sunil is likely to leave India for Qatar within a month to join his new job while Sangeetha will live in Coimbatore with parents until further decision.